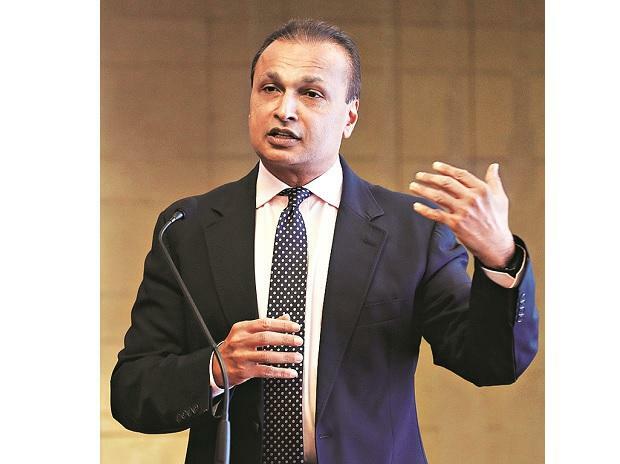 Anil Ambani group’s Reliance Capital is aiming to cut its debt by around Rs 12,000 crore over the next three to four months. The deleveraging plan hinges on stake sale in mutual fund (MF) arm to foreign partner Nippon Life and a public offering of general insurance arm. Reliance Cap­ital has a debt of Rs 18,000 crore. Last month, Reliance Capital had announced it offered its 43 per cent stake in Reliance Nippon Life to equal partner Nippon Life. After that, there were reports of three sovereign wealth funds from West Asia, showing interest in buying Reliance Capital’s stake. However, sources indicate the Japanese firm is keen on buying the stake to gain full control of the country’s fifth-largest asset management company. “The broad contours of the deal are being worked out. Nippon Life has given an in-principle approval for the deal,” said a source. Reliance Capital and Nippon Life couldn’t be reached for a comment. “The strategic sale of the controlling stake in Reliance Nippon Life is expected to be at a significant premium to market,” said Reliance Capital. Reliance Capital and Nippon Life own 42.9 per cent each in Reliance Nippon Life, which is valued at Rs 11,918.7 crore. If Nippon Life buys Reliance Capital’s stake it will end up with 85.76 per cent stake. In addition, it will have to make a 26 per cent open offer to minority shareholders. Sources said the deal could be finalised in the first quarter of 2019-20. Meanwhile, Reliance General Insurance is awaiting market regulator Sebi’s nod for its IPO. The company had re-filed its offer document on February 8 after a lapse of one-year for its previous approval. The IPO size is expected to be Rs 1,500-2,000 crore. Reliance Capital said it was in advanced stage of monetising several valuable non-core investments. These include a strategic stake sale in Prime Focus and other media assets. According to December quarter shareholding data, group firm Reliance Mediaworks Financial Services held 35 per cent stake in Prime Focus, which is valued at Rs 2,000 crore.e.